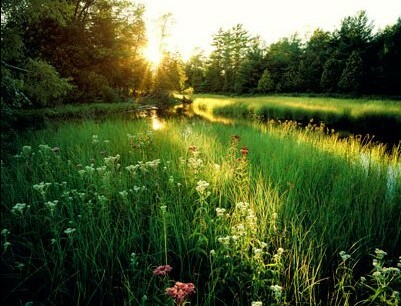 This beloved river in Glen Arbor was preserved in partnership with Sleeping Bear Dunes National Lakeshore. Over a several year period, the Conservancy played the role of bridge builder and financier to preserve this sensitive “dune and swale” topography once slated to become a golf course. The preserved land includes a mile of shoreline that the U.S. 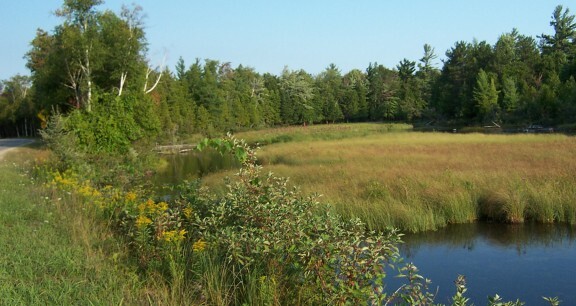 Fish and Wildlife Service recognized as “globally rare habitat.” In 2003 the Conservancy also purchased the fragile 7-acre Oxbow portion of the river and transferred it to Glen Arbor Township. The best way to see and appreciate the Crystal River is from a canoe or kayak. There are outfitters in the area who will drop you off at the put in site. Or, if you have your own equipment, one of the best places to launch is on Fisher Road, just off Dunns Farm Road. The journey of ultimate protection of the Crystal River took nearly 20 years and had as many twists and turns as the river itself. When the Homestead Resort proposed building a golf course along the river back in 1986, a group called Friends of the Crystal River formed that would tenaciously oppose the course for nearly two decades. 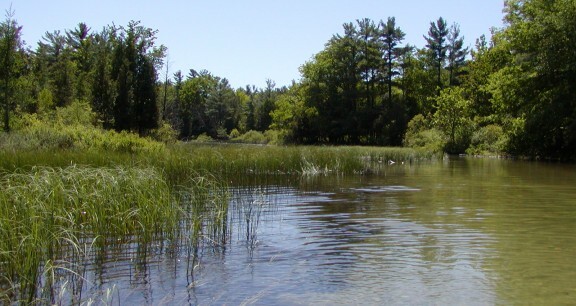 Many other individuals and groups joined in the effort to save the river, from politicians to units of government to the Leelanau Conservancy. The 7-acre Oxbow property covers 1,200 feet of frontage on a sensitive bend in the river between M-22 and CR 675. The Oxbow originally belonged to the Leelanau School, and The Homestead held the option on this land it had once intended to use as part of its golf course. When the resort decided not to renew its option on the Oxbow, the school put the property up for sale. 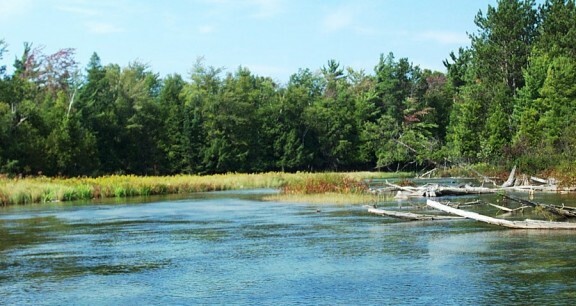 We stepped in to buy and hold the property, then wrote a grant to Michigan’s Coastal Management Program that would ultimately put the land in the hands of Glen Arbor Township. 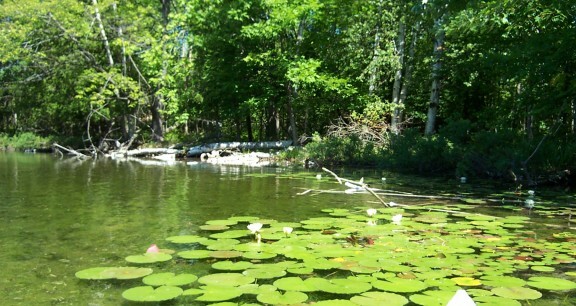 We hold a conservation easement to preserve the property as a wildlife sanctuary and an educational area. By this time, The Homestead had decided not to build its golf course and had also offered an additional 104 acres for sale. The Sleeping Bear Dunes National Lakeshore dearly desired to include this ecologically wonderful and fragile land in the Park. First, park boundaries had to be altered by Congress, and funds appropriated to buy the land. The Park could not secure enough appropriations from Congress to buy all of the land at once. The Leelanau Conservancy stepped in to buy and hold 59 acres until federal appropriations were available. That meant taking out $4.85 million in loans – not an easy task, and not without substantial risk. The transfer of the river was a complicated transaction that took nearly two years to negotiate and complete. 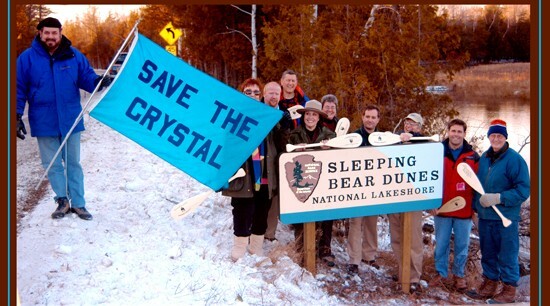 But, finally, in October 2005, federal funds appropriated for the last 59 acres that we had bought and held were appropriated and we could then transfer them into the Park. Now, 104 acres and 6,300 feet of river frontage in total are forever under the wing of Sleeping Bear Dunes National Lakeshore.